A puff a day keeps dementia away. “If you do anything, such as smoke a bunch of marijuana in your 20s and 30s, you may wipe out all of the inflammation in your brain and then things start over again. And you simply die of old age before inflammation becomes an issue for you.” This statement was made by Prof. Gary Wenk, an authority on the effects of drugs on brain function and an expert in the fields of neuroscience, psychology, and medical genetic and immunology from the Ohio State University, In the light of his research, this professor is saying that cannabis, by eliminating inflammation, is seen to have a positive effect on the condition of neurons. Cognitive decline caused by Alzheimer's disease, Huntington's disease, multiple scelerosis, ALS, and Parkinson's disease are widely feared by the aging population. It is commonly thought that these diseases can be prevented by a healthy diet, mental and physical exercises, and social engagement, but in truth there is still no factual evidence that any of these can avert dementia or Alzheimer's disease. Ironically, recent research is saying that smoking pot may achieve what mainstream health practices fail to do. Alzheimer's disease, in particular, is a neurodegenerative disorder caused by the death of a large number of brain cells. As this disease progresses, the person’s ability to recall stored information and to think coherently become diminished. Despite medical advancement, the causes of this neuronal degeneration remain unclear. However, post-mortem studies show that the brains of patients with Alzheimer’s disease contain clumps of beta amyloid protein and tangles of tau protein. In turn, the condition of these proteins interferes with the signals sent from one brain cell to another. It is also believed that, as part of an immune system reaction, the presence of these proteins leads to inflammation. Current research suggests that chronic inflammation plays a critical role in the disease. This theory has radical implications on possible medical interventions for the disease, especially since present interventions are limited to treatments of symptoms rather than the disorder itself. In most neurodegenerative disorders, inflammation develops as a local reaction driven by macrophages in the central nervous system. It is a healthy response meant to fight damaging stimuli; ideally, this response restores the integrity of the neuronal tissue. Without treatment, neuroinflammation can trigger the beginning of nervous system disorders that include neurodegenerative diseases such as Alzheimer’s. 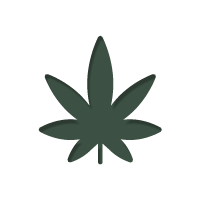 Cannabis is considered one of the oldest, most potent, safest, and economical anti-inflammatory substances. It contains active ingredients called cannabinoids, and these are believed to foster the growth of new neural pathways among neurons damaged by trauma or aging. Aside from inflammation, oxidative stress, excitotoxicity, mitochondrial/intra-cellular/dysfunction as well as reduced trophic support come into the picture to complicate and worsen deteriorating neurological disorders. There are related studies strongly suggesting that the presence of THC and CBD in marijuana reduces these symptoms. THC (tetrahydrocannabinol) and CBD (Cannabidiol) have been shown to positively affect the the endocannabinoid system, composed of neuromodulatory lipids and their receptors. The cannabinoids have been found not only to diminish inflammation; they act as antioxidants, clearing out damaged cells and setting off the production of new cells. Cannabinoids help improve mitochondria, and this leads to improved cell function. One experiment, done on mice, showed that subjects exhibited improved memory and recognition, two of the major concerns in patients with Alzheimer’s disease. There are monumental implications from the research on cannabis for millions of people who may develop Alzheimer’s disease. In the United States alone, more than 5 million are living with the disease, and every year approximately half a million individuals die because of it. Currently, the US government alone spent about $203 billion on Alzheimer’s treatments in 2013, and it is estimated that the disease may cost another $20 trillion over the next 40 years. This does not count the unpaid care provided by families who have a member afflicted by the disease. With cannabis, it is possible that the money spent on Alzheimer’s disease can be freed and channelled to other pressing needs. Beyond financial considerations, however, cannabis may open up the possibility that many elderly people and their families can be spared from the anguish that accompanies the disease. It may very well be that the old adage about an apple a day will be making way for “A puff a day keeps dementia away,” words after Prof. Wenk’s treatise.